I believe I mentioned in an earlier post that I was going to make a new purse for me out of this fabric I found on Spoonflower. 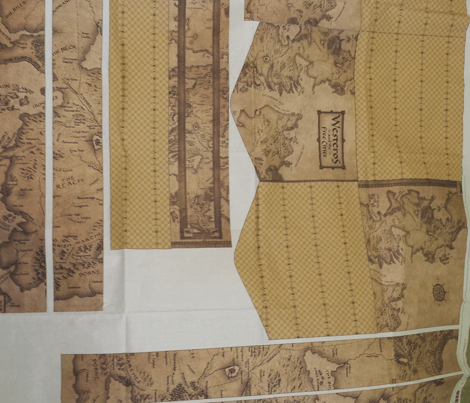 I ordered one yard of the basic combed cotton to make a map of Westeros messenger bag. I finally finished my other sewing projects that needed to be done last Wednesday night, and I was anxious to get this bag done. Unfortunately, I did not have the instructions, as the hosting site the designer was using didn’t have it anymore. I had messaged her earlier in the day, but didn’t hear back from her until Saturday. I ended up winging it and used the reference pictures on how to piece it together. I only ran into some problems with adding the side/bottom peace, so that it would square at the corners. I ended up sewing to the seam allowance on the corner and clipping the corner of the side piece so that I could then sew the bottom seam. If that sounds confusing, it’s okay because it took me a little bit to understand what I could do. After that it was pretty smooth sailing. I bought some medium weight interfacing to help give the bag some structure, as well as a magnetic bag clip to keep the flap down. I love the magnet, but it’s a little too good and is sometimes difficult to open, but I think I am getting the hang of it. It was about 4:30 AM when I finished the bag. Despite needing to be up in a few hours to get ready for my brother in law’s wedding, I was so excited that I got the bag done! The top of the bag. 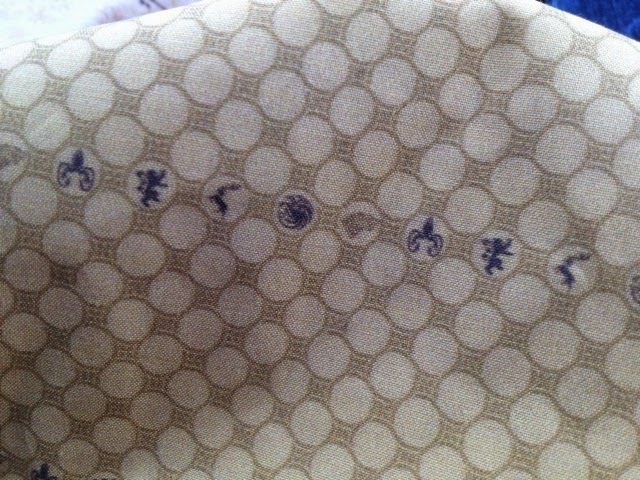 Inside pattern of the bag where you can see the mini versions of the House Sigils. I absolutely love this bag and how it turned out. I have gotten many compliments on it, even from non Game of Thrones fans! It is very spacious inside and the strap is the perfect length to wear on the shoulder or across the body. 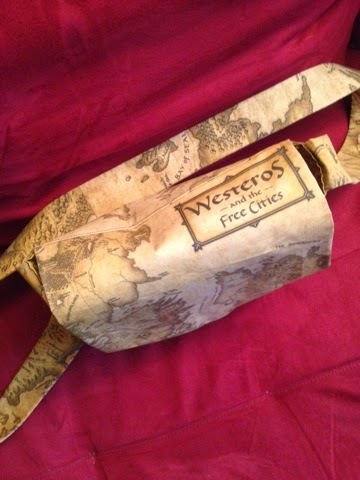 The designer, reisuru, has another Game of Thrones themed bag that I will definitely get in the future!